Birgitta Essén, Professor of International Women’s and Maternal Health. 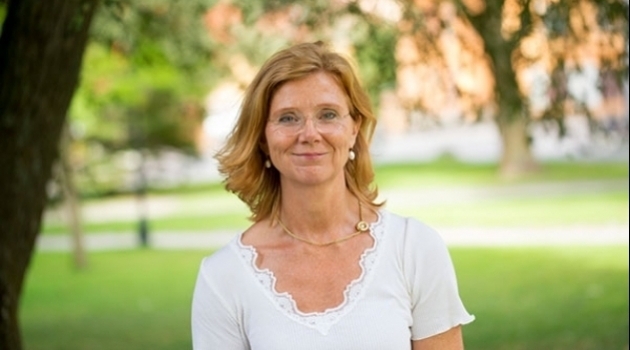 Birgitta Essén is professor of international women’s and maternal health at the Department of Women's and Children's Health, Uppsala University, and a consultant physician at Uppsala University Hospital. She has received the Royal Society of Arts and Sciences of Uppsala prize for outstanding interdisciplinary research for her research on the health of women born abroad. In its reasons for the award the Society emphasises that she has combined medical science with advanced anthropological cultural analysis in a hidden and taboo area so as to avoid value conflicts, reappraise established procedures and enhance patient benefit, thereby improving healthcare. Through her research she is a bridge-builder between social sciences, humanities and medicine. The prize sum is SEK 100 000. The prize was presented at the ceremonial meeting of the Royal Society of Arts and Sciences of Uppsala at Uppsala University on 8 October 2018.